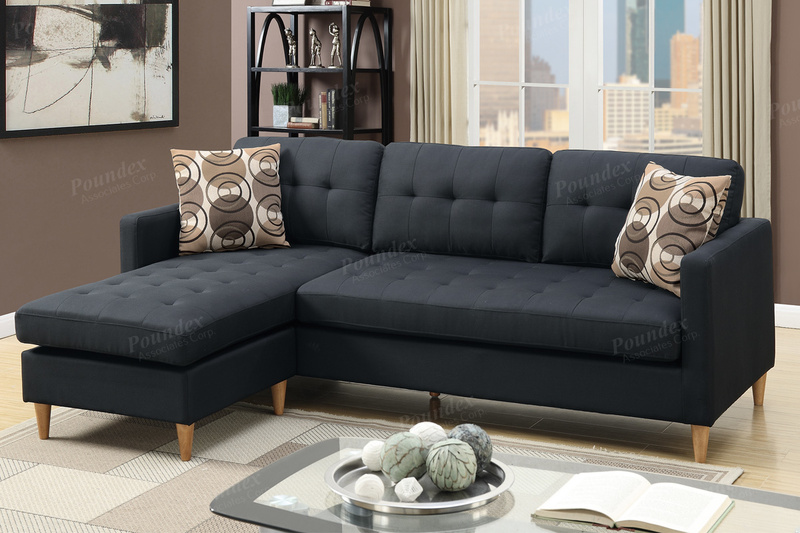 Prep your living space with this 2-piece reversible sectional stocked in a smooth linen-like finish and seating accent tufting. This modular piece is also supported with short pegged leg supports and two accent pillows. Available in black, chocolate or blue grey.